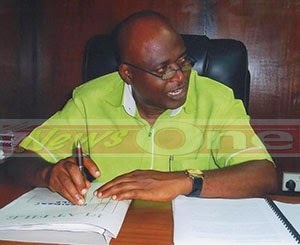 After ordering members not to submit any of their works for the just ended Ghana Movie Awards, Steve Asare Hackman, President of the Film Producers Association of Ghana (FIPAG), has disclosed that the executive body of the association will descend heavily on members who defied their order. According to Mr Hackman, FIPAG last year issued a statement dissociating itself from the Ghana Movie Awards and also instructing all its members not to submit their works for the Ghana Movie Awards (GMA). But NEWS-ONE can confirm that two movies – Bachelors and Sisters at War—from Abdul Salaam Mumini, a staunch FIPAG member, got nominated at the 2014 GMA. The FIPAG boss stated that the association had to take that harsh decision to dissociate itself from the GMA due to how poorly its executive body had been treated in the past by Fred Nuamah, the organiser of the event. He however disclosed that FIPAG had signed a memorandum of understanding (MoU) with the Multimedia Group Limited to help organise the Ghana Film Festival and Awards which would entirely be different from GMA. “Around November last year, FIPAG signed an MoU with the Multimedia Group Limited to help organise the Ghana Film Festival and Awards. There will be festivals that will start from the Northern Region right down to the south, before the award event itself,” he said.